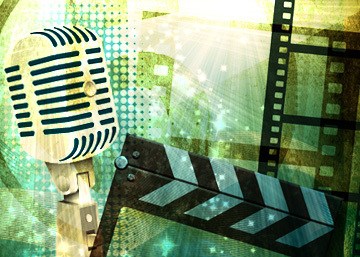 The Higher Purpose of Audio-Visual Media | Fourth Dimension Inc. This potent instrument of our age has a higher aesthetic potential, which can lead to elevation and refinement of the common life of the masses. Sensationalism, titillation, amusement or at the best information or education…. Is this the true purpose or the highest potential of this powerful instrument of modern culture? Or is there something higher and more elevating? One of the most characteristic features of the modern age is the glare and glitz of the mass-media, especially the audio-visual media, which bombards our mind and senses with its words, ideas and images all the time. Much has been said and written about this modern phenomenon. However, even the most die-hard opponents of the mass-media can deny the power, impact and influence it exerts over young minds. At present most of the audio-visual media is used for entertainment, titillation and amusement of the senses. Some of the purist may say with a grim face that this is entirely wrong, and this powerful media has to be used mainly for education and enlightenment of the masses. This is rather a puritanical view of this powerful organ of the modern age. The mass-media has to a certain extent cater to the needs of the average masses, and one of the major needs of the average man, is enjoyment, entertainment and amusement. And interestingly, in the process of titillating the masses, the modern-media has acquired valuable skills in presenting ideas and opinions in an interesting, absorbing and entertaining way using concrete imagery which is appealing to the sensations and emotions. Here comes the great potential of the modern media. Instead of wasting its skill in titillating the senses, if it can use it to communicate the ideas, values, emotions and sensations of the ethical, aesthetic, psychological and spiritual realms in such a way which will catch and sustain the attention of the average human nature, especially its feelings and emotions, then the mass-media can become a great force for higher evolution of the masses. Here comes the need for creative research in the mass media. One of the objectives of this research is to reconcile the two apparently conflicting functions: to diffuse a higher culture into the masses with minimum dilution but at the same time without forsaking its other function of entertainment and amusement or in other words to provide elevating entertainment to the masses. This brings us to another important potential of the modern audio-visual media. To spread the cult of beauty among the masses. As a medium of art the modern audio-visual multimedia, a gift of modern technology, is perhaps the most complete and versatile. Most of the other ancient forms of art like painting or architecture or sculpture are more or less static or caters only to a limited range of sensation and emotions. So they cannot capture the dynamic beauty of life in all its fullness. But the modern multimedia has a versatile repertoire of techniques, instruments and forms and a certain amount of creativity for presenting the beauty of life in all its living and dynamic splendour and wholeness. As we have already indicated, the modern multi-media has a versatile “hardware” and skill for creating such a transforming and living beauty. What it needs is; fully realise this higher potential “software” made of greater creativity, vision and values. So, the other objective of research activities in audiovisual media is to create the content or software for spreading the cult of beauty into the masses and explore through this modern medium, the moral and spiritual potentialities of beauty and aesthetics for self-transformation.